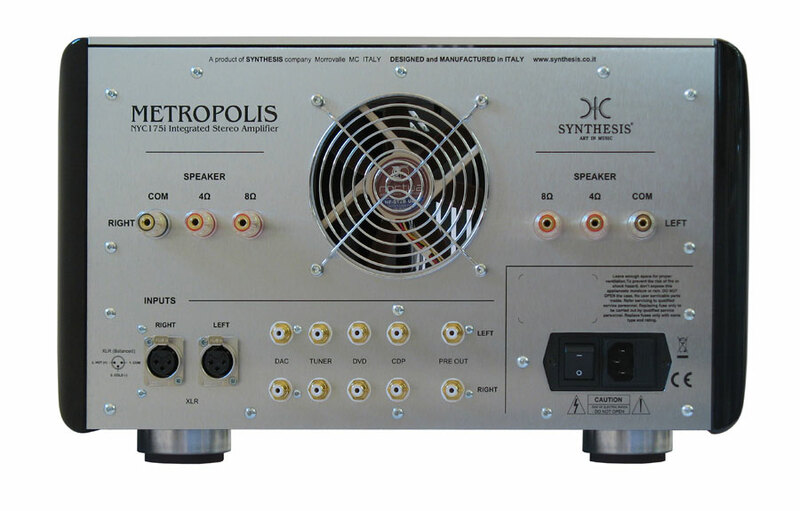 SYNTHESIS is proud to introduce a stereo tube amplifier incorporating the exceptional the sonic performance. The NYC 175i provides a minimum of 180 watts (360W per channel), power output from 8, KT88's in Ultra-Linear (UL) - push/pull operation. 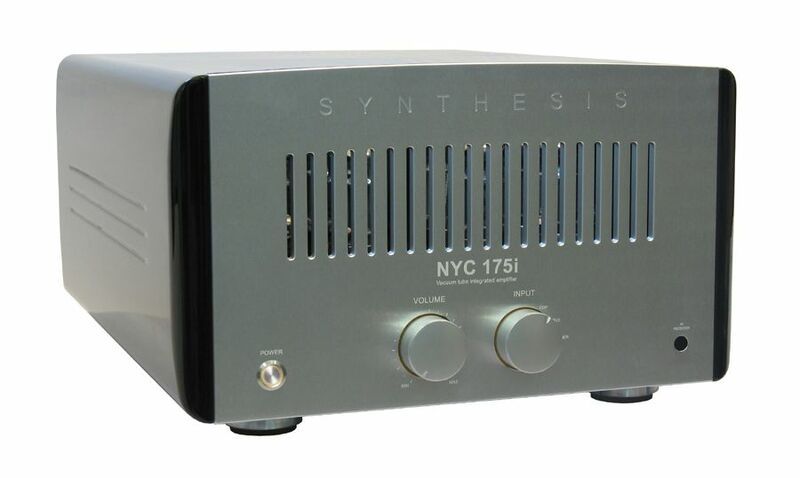 The NYC 175i features a newly designed custom output transformer designed to achieve highly delicate and precise sound with extraordinary musicality from tubes, but with the authority of the best transistor amplifier. Two 45mm CNC machined control knobs with integral soft light and laser etched indication segments. All tubes, except KT88, have DC stabilized heater circuits to reduce hum noise to a near in-audible minimum. 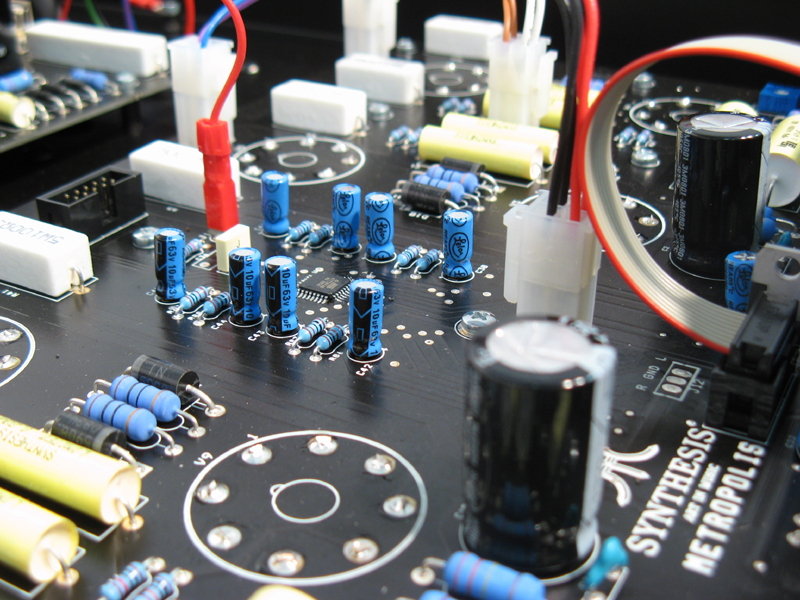 The Output transformer uses a double C-core Hi-Grade Iron-Silicon for superb frequency reproduction and bandwidth. With this newly designed custom output transformer unique to the NYC175i we are able to achieving highly delicate and precise sound reproduction faithful to the original recording. The power supply and output transformers are held by an extremely rigid “H” structure that keeps the unit free from unwanted vibrations which further helps reduce unwanted noise to the tubes. A superb wooden handmade case with soft button design, perfectly matching the aesthetics for the “Metropolis” series. Four CNC machined aluminum feet with an insert of natural rubber. The depth and form of these rubber feet is calculated to minimize the vibration of the amplifier in isolation from its surroundings. A 120mm fan provides a speed between 500 to 700 rpm which is controlled via micro. This ULN (Ultra-Low-Noise) unit is tailor made for the serious enthusiast who demands super-slow running speeds and the utmost silence of operation. The factory set fine bias control is microprocessor controlled to maintain the optimum settings. If required this can be adjusted without the use of an external voltmeter by use of an internally fitted display device. A completely dual mono design minimizes the crosstalk across channels. Power transformers use hi-grade iron silicon M0 and separate supplies with hi-grade selected capacitors to produce extremely low ripple levels. Independent to the mains transformer, each channel has a separate power supply guaranteeing a large reservoir of energy to meet the demands of the amplifier circuit and to maintain excellent interference immunity between channels. Components for the NYC 100i have been selected with great care throughout. Only the best available components are considered and all must undergo an exhaustive analysis of their sonic influence prior to final selection.